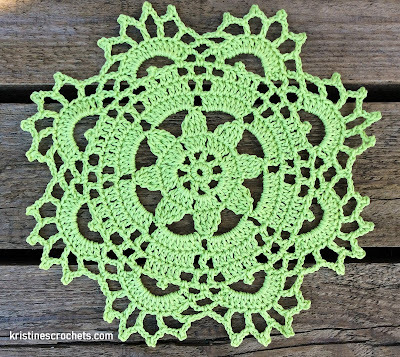 Learn how to make your own beautiful crochet snowflakes. Use them as decorations anywhere in your home, from Christmas trees to walls and windows.❆ You can even use the snowflakes as coasters or join them together to make a festive tablecloth or a doily. The snowflake measures approximately 12cm (4.7 inches). 3.0mm crochet hook, sport weight, size 2 cotton yarn. trc4tog - 4 treble crochet closed together. ch5picot - ch5, insert the hook into the base st., yarn over, pull the yarn through all loops on hook. Start with ch4, join with a sl st. into first ch to form a ring. ch1, 1hdc into the first sc.